The North front of the house was altered by John Chute in the 17th century, when the west tower and range to the right of the portico was added to match the earlier east Tudor tower. This is also when the sash windows where added. 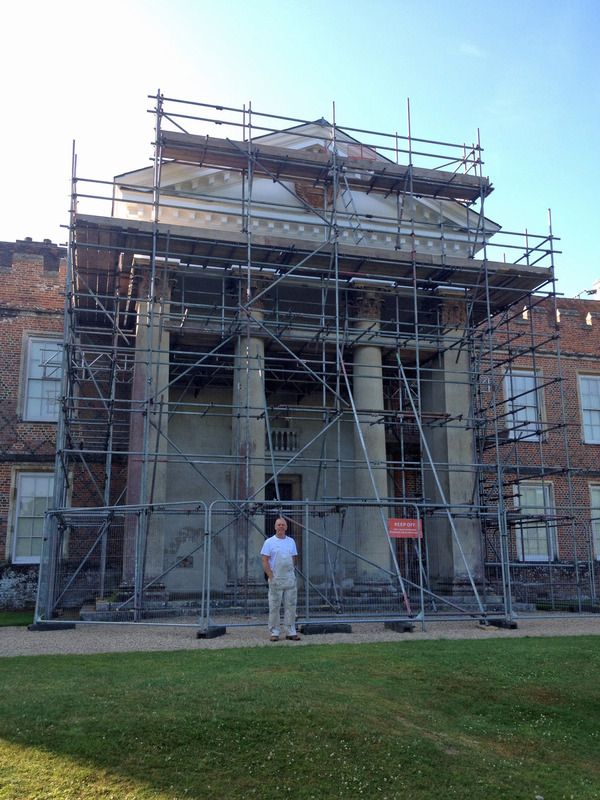 The portico was added by John Webb (Inigo Jones’s most talented pupil) for John Chute in the 1650’s and it was the first portico to be added to a country house in England. The portico columns and pilasters are brick, rendered with Stucco. Their Corinthian capitals are of Burford stone, as is the coat arms of the Chute family in the pediment, which was carved by Edward Marshall. The pediment is painted wood which is why it is important to make sure it is repainted every two years. Not only to make sure the house looks good but for conservation of the whole structure.